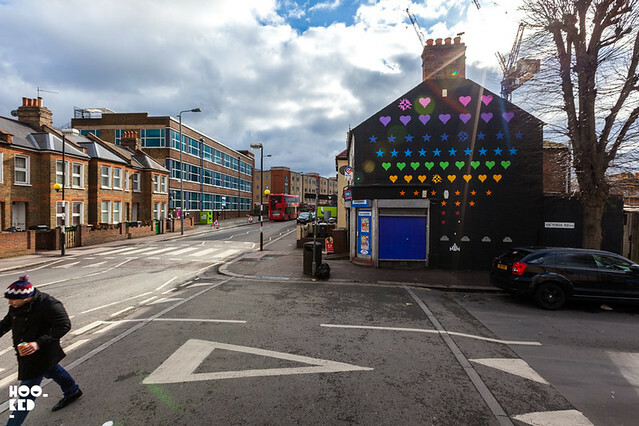 Last week saw street art duo We Like Static complete work on their largest mural to date and the second with the Wood Street Walls project out in E17. 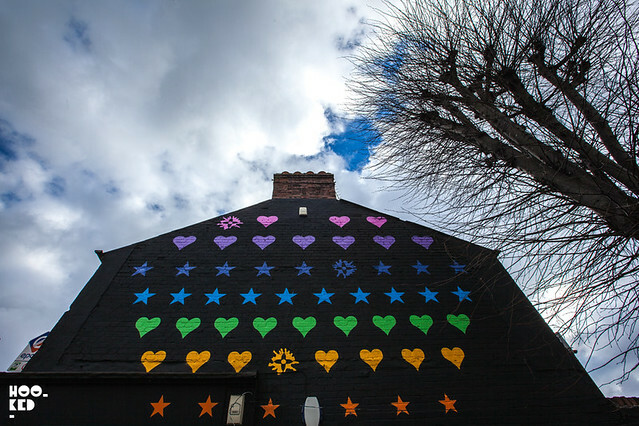 Located on the corner of Victoria Road and Fullbourne Road, the new mural saw the artists redecorating the end of a two-storey terraced house with a super sized version of their Game On artwork used recently on a limited edition screen print the artists released for this year Valentine's Day. 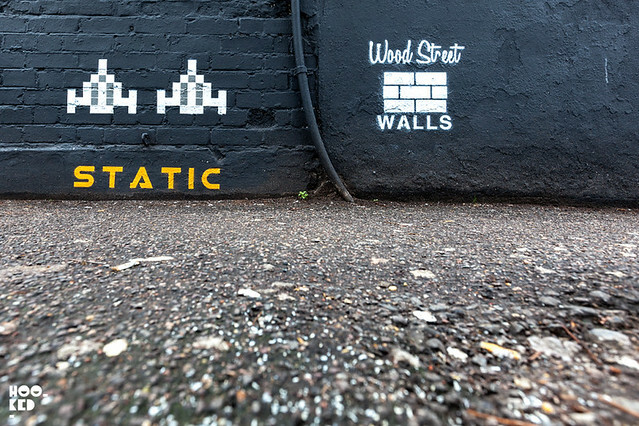 As mentioned this is the second mural We Like Static have painted with Wood Street Walls. We previously featured the artists first mural on the blog back in November (covered here) which has now been moved from its original location in Ravenswood Industrial Park – near the Wildcard Brewery, to the Wynwood Art District Cafe also in the neighbourhood. 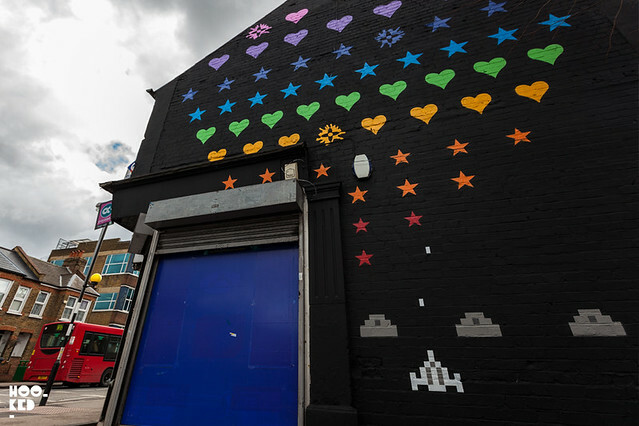 Stay tuned for further updates and murals from the E17 area and the Wood Street Walls team. To find out more about Wood Street Studios and to help them reach their fundraising target, please visit the Spacehive page that has been set up and also lists some of the rewards pledgers can receive by donating.